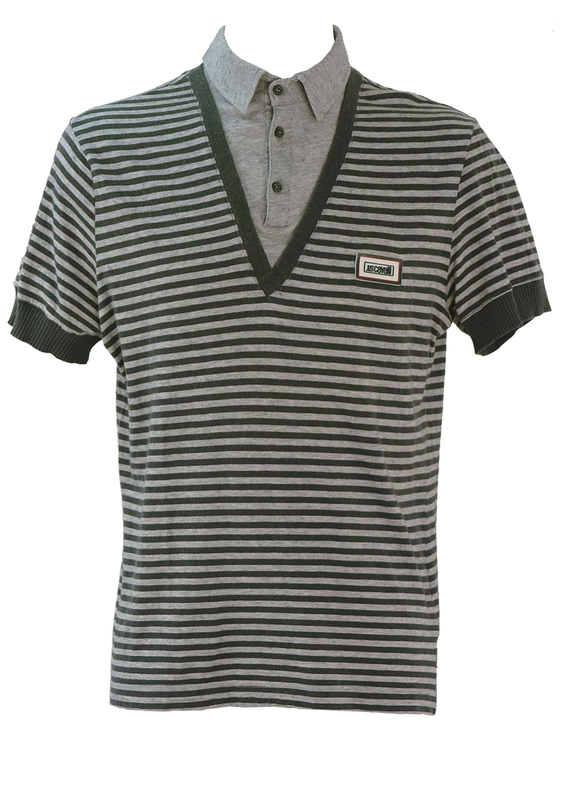 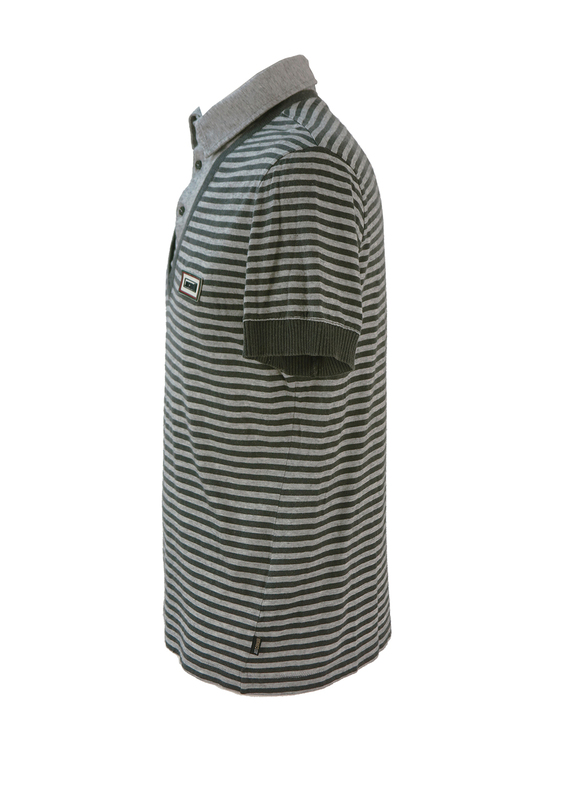 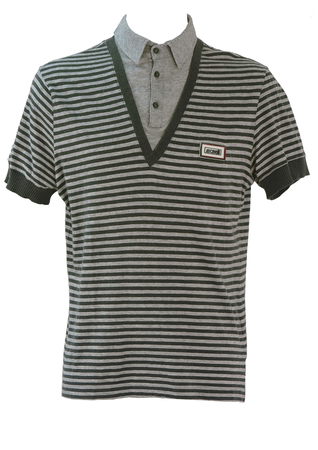 Roberto Cavalli top in a polo shirt style with the added design twist of a V-neck T-shirt overlay in charcoal & light grey stripes. 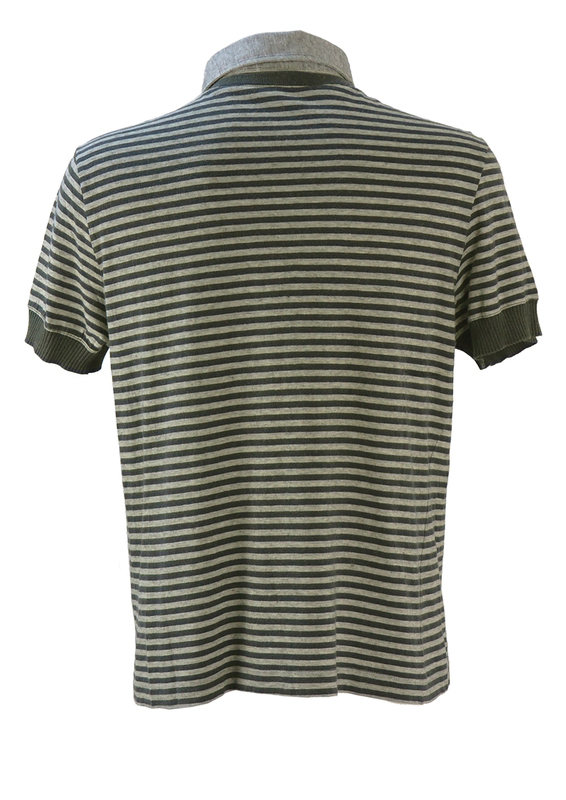 The top is 85% cotton with a luxurious addition of 15% cashmere. 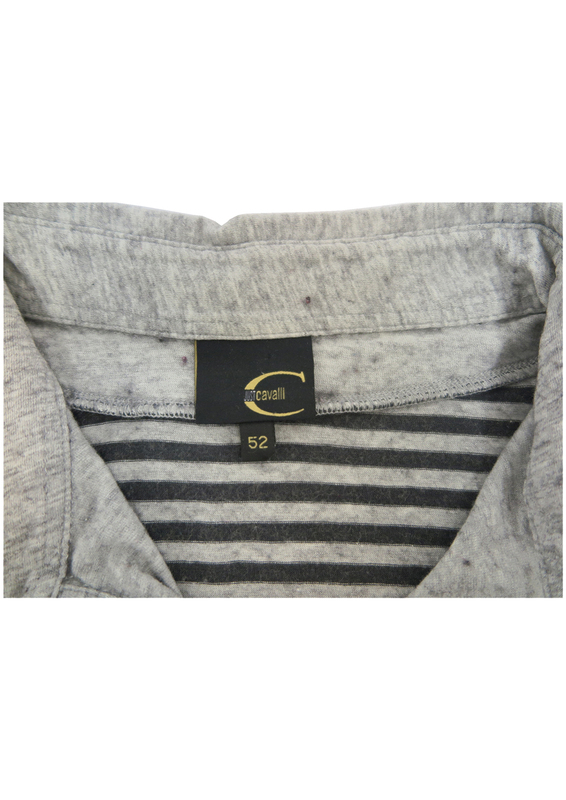 The sizing label states a 52 which we have equated to a size M oversized style or a more fitted size L. Please refer to our measurements for further sizing guidance.